The VMA344 - PCF8591 is a monolithically integrated, low-power, 8-bit CMOS data acquisition device. 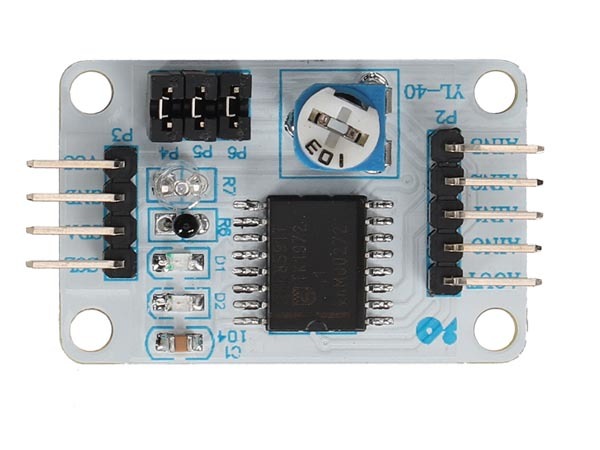 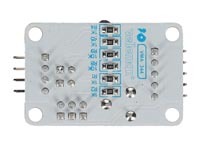 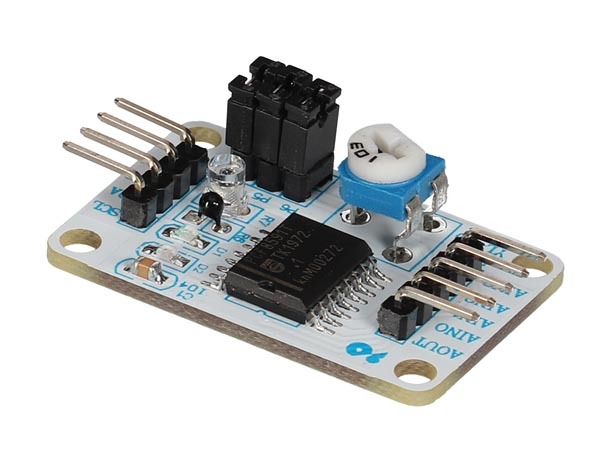 The PCF8591 has four analog inputs, one analog output and a serial I2C bus interface. 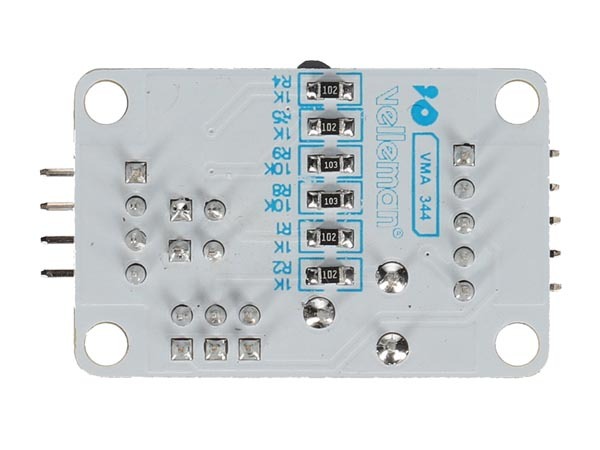 For testing purposes, the VMA344 contains a phototransistor, NTC and a trimmer which are connected to the PCF8591 by 3 jumpers.